Earn 164 loyalty points when you order this item. 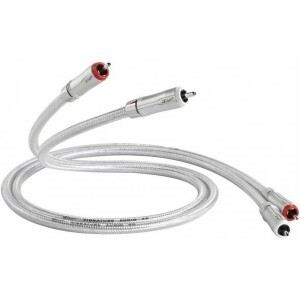 QED Signature Audio 40 RCA interconnects are a new design concept from QED laboratories. 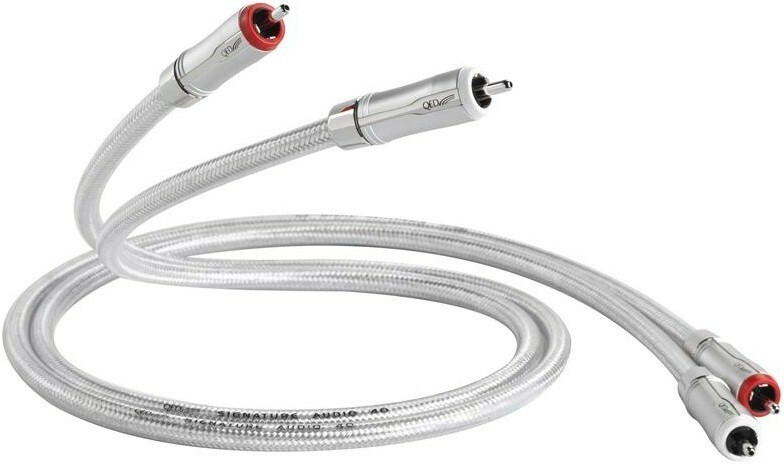 The cordage is designed primarily for low capacitance as this has been identified by QED as a significant factor leading to a high fidelity experience and makes for a tight sound retaining the rhythm of the original piece. Add our Complementary Conductor TechnologyTM for high frequency detail and our Analoc Technology to maximise signal integrity and the result is what we feel to be the most innovative interconnect ever made by QED. Please see our 'cables matter' section below for more in-depth information on this ground breaking design. It is understood that cryogenic treatment results in the elimination of dislocations and fractures in the material’s micro-structure. Trumpets and other brass instruments have been found to produce a better tone after Deep Cryogenic Treatment and it also extends their working life. Our extensive listening tests have shown that the cryogenically treated cable is preferred over the same cable without the treatment. The new QED Analoc plug is a low eddy current design featuring small high purity copper conductors in place of the usual large volume brass body found in ordinary high quality plugs. This cuts down or eliminates the tendency for the changing magnetic field in the conductor to induce eddy currents which can affect the micro timing of the audio signal. Rhodium plating has the advantage for use as a plating material due to its superior hardness.